Jerry Charvat submitted this photo and caption. This is a photo of the Southwind cymbal line during some laundry day free time practicing our Individual & Ensemble performance. 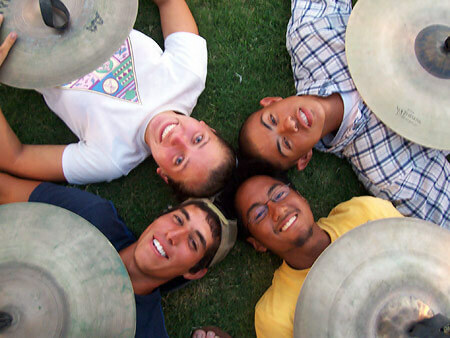 Clockwise from top left: Savannah Schurring, Jerry Charvat, J.P. Gagaza, Josh Quesada.